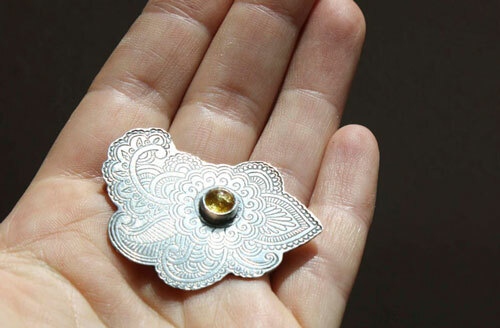 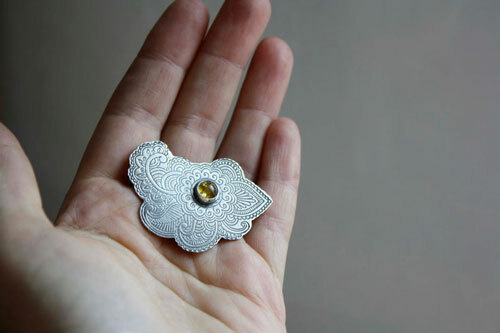 Persian Moon is a sterling silver brooch which design reminds of paisley patterns from the Silk Road. 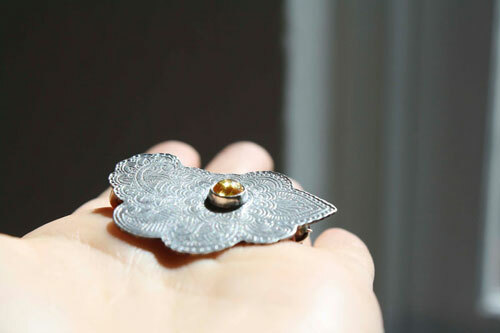 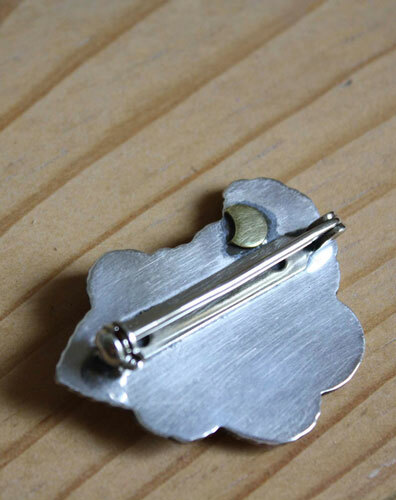 The brooch was hand sawed with smooth and curved shapes to evoke the feminity of this jewel. 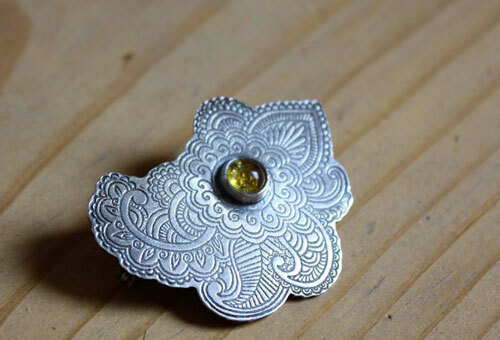 I bezel set an amber cabochon to enhance the pattern of this piece of jewelry.